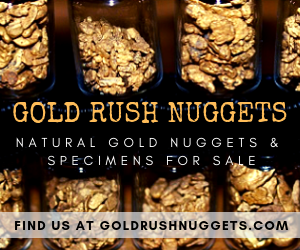 To successfully and consistently find gold nuggets with a metal detector, or to be a successful prospector in general, in-depth research is absolutely critical. This is what will lead you to the gold, and it is really the main thing that separates successful gold prospectors from the rest. 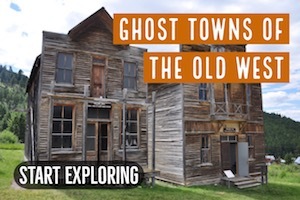 This is something that takes place at home, long before you ever venture out into the goldfields. There are numerous books available about gold prospecting in various states that will give you some great information on where to start looking for gold. This is the best money you will ever spend. A $10 book can provide the kind of information that you may never be able to find otherwise. Most of the major gold-bearing areas are very well documented, and general information is readily available if you look for it. 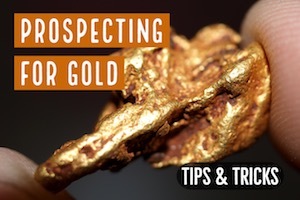 Books about prospecting in different states are excellent resources to get you started in your search for gold. They generally provide good information on specific rivers, creeks, and large gold mines that historically operated within a gold district. Once you have identified a general area that has the potential for gold, it is time to start getting more in-depth in your research. This is where many prospectors stop, but reading books should just be the start of your research into a gold bearing area. Some of the best information on gold occurrences is found in a variety of government reports. Many of these reports are now digitally available online, or can be purchased as reprints from a variety of sellers. Many different agencies produced various reports on mining throughout history, but they are most commonly put out by the U.S. Geological Survey, Bureau of Land Management, or the various state-level agencies that manage mining and mineral resources. These reports will almost always go more in-depth than most books. Sometimes they cover an entire state, but more commonly they cover the mineral resources within a specific mining district. Sometimes they will even be written about specific mines. The detailed information provided within these government documents is invaluable. 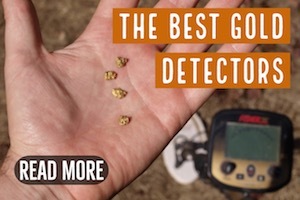 For a prospector who is using a metal detector, one of the most important things to consider is the size that the gold occurs. Metal detectors can only find gold of a certain size, and many rich gold areas do not have gold that is large enough to be detected. 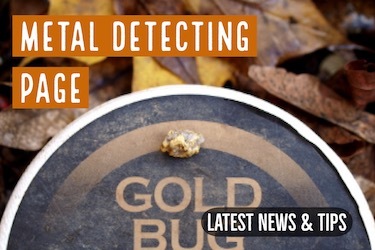 These reports will generally give detailed information about how to gold occurs and whether or not it is large enough to be detected. If the gold was generally fine, then other types of placer mining methods may be better suited for the area. This is one type of research that is overlooked by most prospectors. It may seem that finding information about gold mines in a newspaper would be like finding a needle in a haystack, but historical newspapers from the proper time period are actually full of great tips and pointers that can lead you to areas to search for gold. Newspapers back in the 1800’s were different than they are today. The bulk of the reporting was based around the economy at the time. In most areas of the U.S. during that time period, the reporting was based around farming, ranching, and mining. Find old newspaper archives for the area that you are researching and you are sure to find some great tips to some great gold bearing areas. If the area produced some large gold nuggets, it was not uncommon to see news articles about the major discoveries. 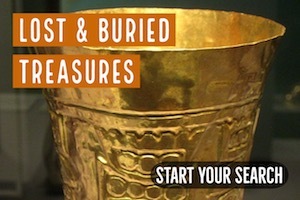 Want to dig deep and find some old historical information about a specific gold area? There is no better way to do this than take a trip to your local library! Most librarians really enjoy helping people with research. They are great at “digging deep” and finding old, obscure materials that contain great tidbits of information about mining history. Libraries can generally help you find the old historic newspapers that we discussed earlier. You cannot have too much information on an area. If you are serious about finding gold there, than spend some time at home researching the various mines and prospects in the area. Find out where to richest mines were and consider where you might have the highest chances of success the next time you head out.